Grace Reformed Biblical Counseling ministry believes that God’s counsel is desperately needed. God’s Word is sufficient and provides everything necessary to know Him and live in a way that is pleasing to Him. There is tremendous blessing in living a life of obedience to God and His Word. The person who follows God’s counsel can have hope, contentment, and answers to all the problems and pressures of daily life. Grace Reformed Biblical Counseling offers pre-marriage, marriage, individual and family counseling. The counseling is based on the Bible. God’s Word is sufficient to answer the problems of life and is superior to any other source of counsel. The counseling is free. Workbooks or required reading are the responsibility of the individual. Grace Reformed Presbyterian Church provides the facilities and the counselors volunteer their services and time. Our church believes this is an outreach to our community and the surrounding area. Counseling is available on most Tuesdays all day by appointment only. Sometimes a counselor may not be immediately available and there will be a waiting period. Counseling sessions typically last for one hour each week for approximately 10-12 weeks. The number of sessions may be shortened or lengthened depending on progress made. Everything is strictly confidential except where, in the counselor’s judgement, there is a biblical requirement to involve others. Homework is assigned and must be completed between counseling sessions to ensure lasting change. Weekly assignments must be completed in order to continue counseling. For more information, phone (423) 523-9124 (church office) or email Pastor Carl van der Merwe. You can also download the counseling intake form, fill it out and send it in. We will contact you immediately to set up an appointment. Click here to download the counseling intake form, the Personal Data Inventory (PDI). 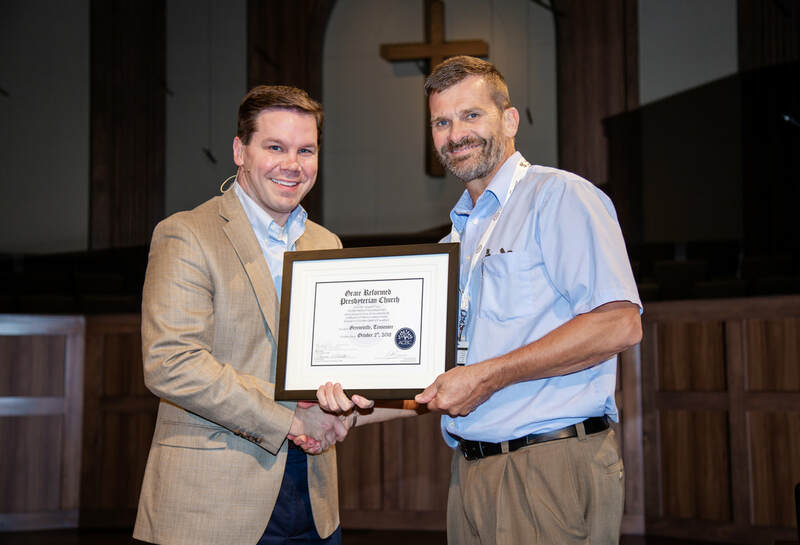 Grace Reformed Presbyterian Church earned full certification as a Counseling Training Center in the Association of Certified Biblical Counselors - October 2018.